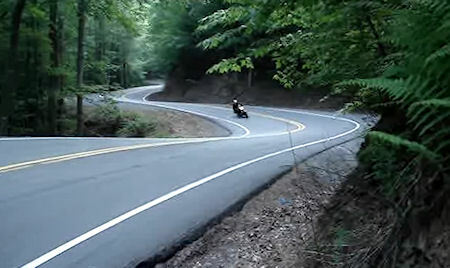 Deep in the southern United States, in the thickly forested border of Tennessee and North Carolina, is a road that seems drawn by a doodler. It makes 318 turns along 11 miles of countryside, including hairpins, blind cutbacks and a cloverleaf here and there. It's so windy and challenging that it has become a destination for motorcyclists and car enthusiasts; some say it's among the best driving roads in the world.